I've never met anyone as perfect as her. My one true mate. 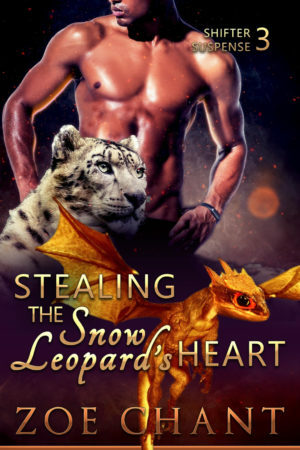 Snow leopard shifter Lance MacInnis never thought he'd meet his mate. But Keeley Smith is everything he never dared to hope for. Brave, kind, and fiercely protective of the adorable baby dragon she rescued from evil shifters. When everything else in his life seems to be going wrong, she's the only thing he can be sure of. He says he loves me. But he doesn't know the truth. If he did, he'd never look at me again. Keeley has spent the last ten years running from her past. When she saves a newly-hatched dragon and discovers the secret world of shifters, she thinks she’s finally found her chance to turn over a new leaf. To be a good person, at last. But she wasn't expecting to fall in love. Of everything she’s done, that might just be the worst. Especially since her past has just caught up with her.